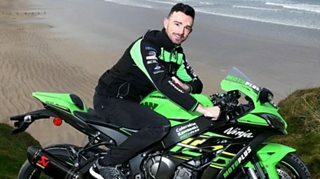 Glenn Irwin says he takes Alastair Seeley's switch to Ducati for this year's North West 200 as a compliment. Seeley will ride a new V4 Ducati for Irwin's former team, PBM, while Irwin, 28, competes for Quattro Plant Kawasaki. "It will be nice to race against this new bike on the roads - it's an iconic brand and we want to hear the noise off it," said Irwin.